MB Electrical | Great Yarmouth, Norfolk based Domestic Electrician. Need an Electrician in Norfolk? Call Matt. Get in touch for a quote..
MB Electrical is a self run business based in Great Yarmouth, Norfolk, which specialises in domestic wiring and heating services with over 10 years of experience. We're NIC registered electricians and fully insured. We work along side various trades that we have worked with for years and work with customers to meet any requirements they may have from the simple to the more complex installations covering the entire Norfolk area. 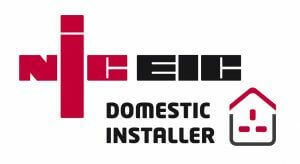 I messaged Matt with a broken extractor fan and he came promptly on a day that suited us well and fixed the problem within a few minutes 🙂 excellent service thankyou will definitely recommend and will be using for any future electrical work! Thankyou! Full rewire on our cottage renovation with outside lighting for the garden and cctv. Very neat and professional work. Would highly recommend. Really happy with the work today Matt, good luck in the future. Ready? Get in touch for a quote. Call Now or fill out the form below.